GreenFuse® Growth Stimulator was formulated in Holland, and is a plant nutrient supplement blended from 100% pure plant extracts. 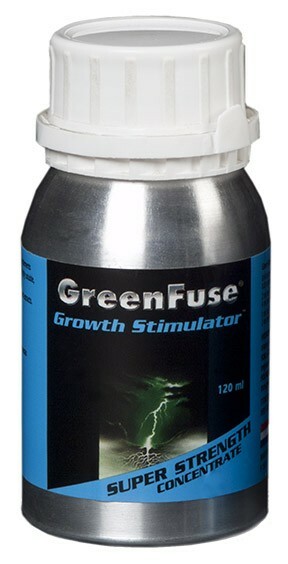 GreenFuse Growth Stimulator is a highly concentrated, 100% plant growth nutrient supplement blended from pure plant oils and extracts. Suitable for use in soil gardens, containers, as well as hydroponic gardens, it can also be used as a powerful foliar spray as well. Best when used in conjunction with natural products. GreenFuse Super Strength Concentrate has a phenomenal dilution rate of 15,000 to 1, a full 15 times stronger than the original GreenFuse® dilution rate of 1,000 to 1. 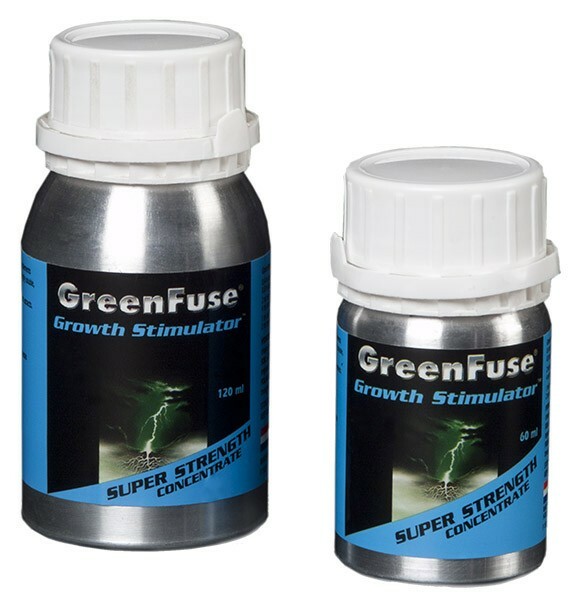 Packaged in a unique aluminum bottle that is vacuum sealed to assure potency, GreenFuse Growth Stimulator Super Strength Concentrate is based on natural plant extracts that will maximize the potential of any plant. 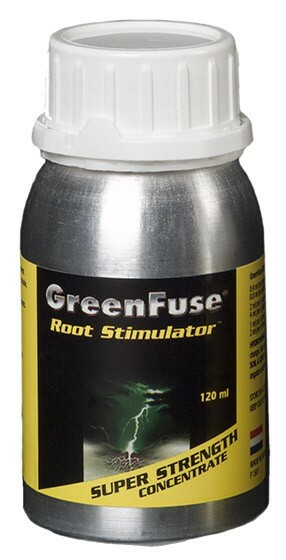 Use it with GreenFuse Root and GreenFuse Bloom for all stages of plant growth. Add to fresh nutrient solution at the rate of 1ml per 4 gallons with each reservoir change. Use throughout a plant’s growth cycle. Add to tepid water at the rate of 1ml per 4 gallons. Mix well and apply to the root area with each irrigation throughout the growth cycle. Add to tepid water at the rate of 1ml per 4 gallons. Mix well and spray over leaves weekly throughout the growth cycle. Store in the original container in a cool, dry place, out of the reach of children. Do not store in direct sunlight or excessive heat.